I’d been hoping I could convince my parents to meet me at some point on my trip, and Buenos Aires seemed like the perfect opportunity. The 15-hour flight from Kansas City (with a connection in Houston) is long but manageable. 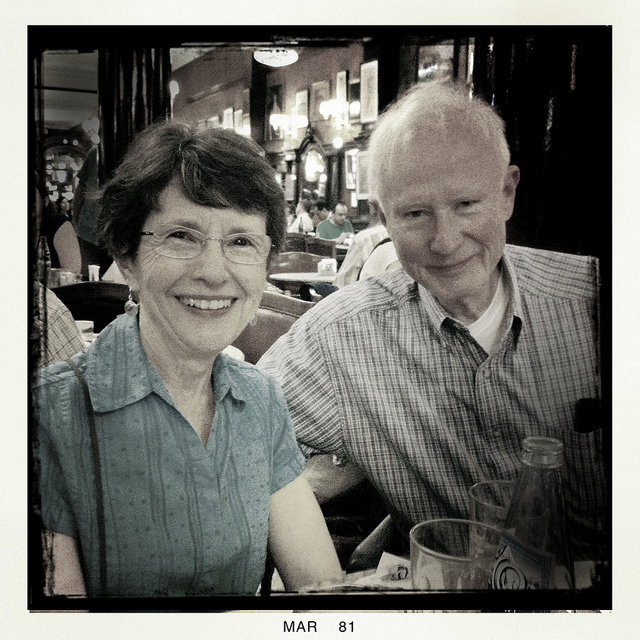 Aside from Antarctica, South America was the only continent my parents had yet to visit, so touching down in Argentina would let them cross number six off the list. 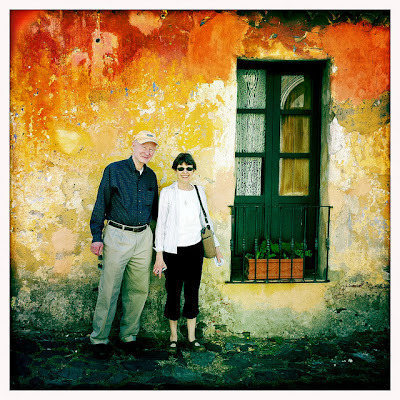 My mom, who studied in Costa Rica for a year when she was in college, speaks very good Spanish. And, although my dad prefers to travel to developed countries, it seemed likely that Buenos Aires – frequently described as the most European city in Latin America – would appeal to him. Meeting my parents overseas had turned out well once already. In 2005 I went to Greece for work and was able to tack on a one-week vacation before flying home. 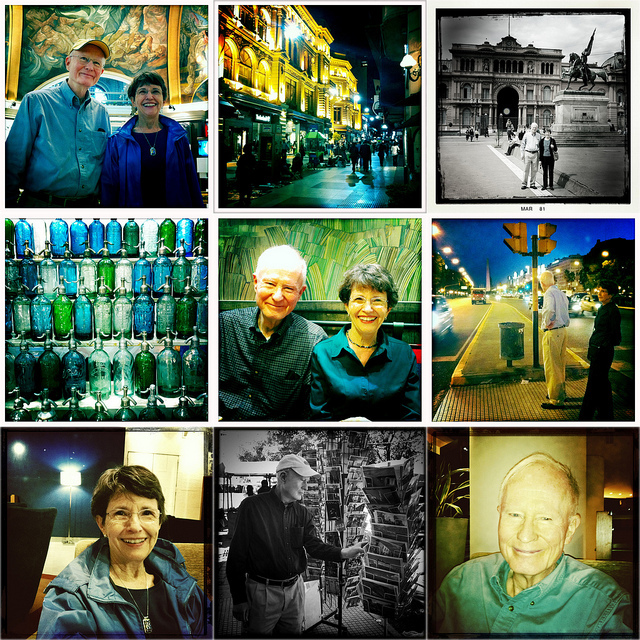 Mom and Dad planned a trip that overlapped mine, and we had a lot of fun wandering around Athens together. 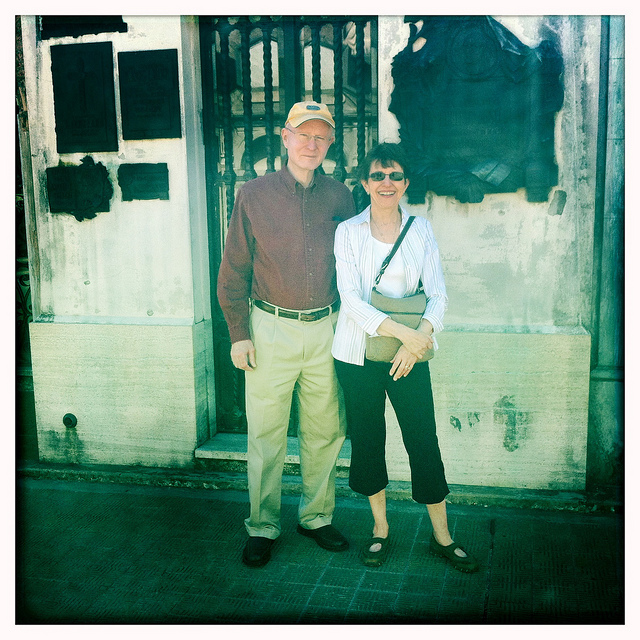 My parents, thankfully, liked the Buenos Aires idea. We picked a week in March that looked open, and my mom chose a hotel in the center of the city. 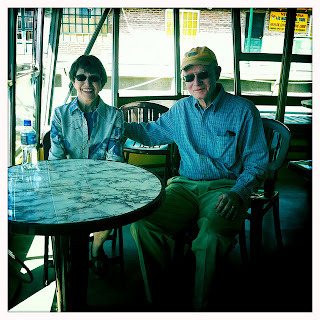 I was waiting in the lobby of that hotel the afternoon my parents arrived, repeating so closely the routine we’d used in Greece that all three of us had flashbacks to their first day in Athens. It’s always great to see my parents, but the unique circumstances made it even a little better this time. Mom and Dad didn’t show up empty-handed. They were nice enough to resupply me with a variety of gear I hadn’t been able to find on the road, including a replacement San Francisco Giants hat, some clothes, and an additional portable hard drive for my photos. Mom also surprised me with a box of her orange cookies, my all-time favorites, which was a genuinely unexpected treat. I felt like a kid on Christmas morning. Our plan for the week was just to relax and get to know Buenos Aires at a mellow pace. 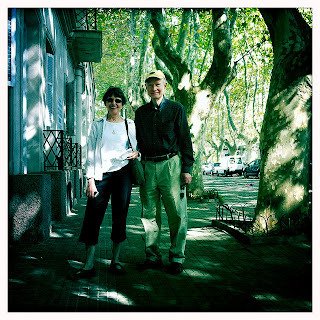 Unsurprisingly, my dad and I had both failed to research potential activities, so we relied on Mom to structure our basic itinerary: we’d spend most of our time in the city, with side trips to Tigre, a river town to the north of Buenos Aires, and Colonia del Sacramento, Uruguay, just across the Río de la Plata. Mom also came armed with restaurant recommendations. My niece Elizabeth’s Spanish teacher – who is from Argentina – suggested the Gran Café Tortoni, which opened all the way back in 1858 and is one of the oldest restaurants in the city. We stopped there for dinner on our first night. The next morning we headed straight to the train station. Light rail trains to Tigre run frequently, and we caught one that left only seconds after we hopped on board. During our 50-minute ride we had a chance to people-watch a broad cross-section of the population – businessmen in black suits, weary mothers cradling infants in dirty blankets, students loaded down with books, street musicians performing for tips. 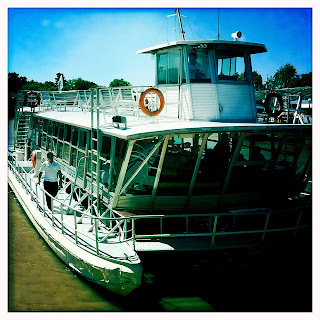 In Tigre we took a boat tour through the extensive network of river channels that crisscrosses the delta. We expected to pass through some wilderness areas, but houses and businesses lined our entire route. “This must be how the Lake of the Ozarks looked 40 years ago,” said my mom. 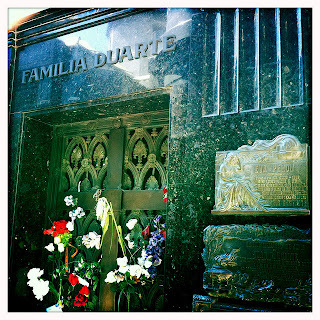 The next day we walked to the affluent Recoleta neighborhood, northwest of the city center, to see the Cemetario de la Recoleta, where many of Argentina’s rich and famous are buried in elaborate stone mausoleums. 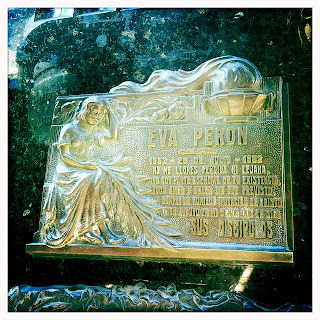 Down one of the cemetery’s side alleys, wedged inconspicuously between two other immense marble tombs, stands the burial site of the Duarte family, including Evita Perón. On the way back to our hotel we stumbled across the Museo Nacional Ferroviario, Argentina’s national railway museum. 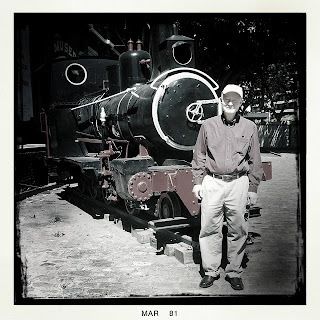 It was a lucky find for my dad, who since childhood has loved trains and railroad stations. Walking through the crowded streets of downtown Buenos Aires could be challenging. At almost any given time either I was in someone’s way or someone was in my way. On more than one occasion we ran into a pedestrian traffic jam caused by a young couple too busy making out to realize they were blocking a narrow sidewalk. Public displays of affection – all but nonexistent in the African and Asian countries I’d been in so far (especially those with large Muslim populations) – were ubiquitous in Buenos Aires. It wasn’t unusual to see two men greet each other with a kiss on the cheek. In a country like Tanzania, any guy who tried that move would promptly have his face rearranged. On Sunday we checked out the street market in San Telmo, a neighborhood just south of the city center. 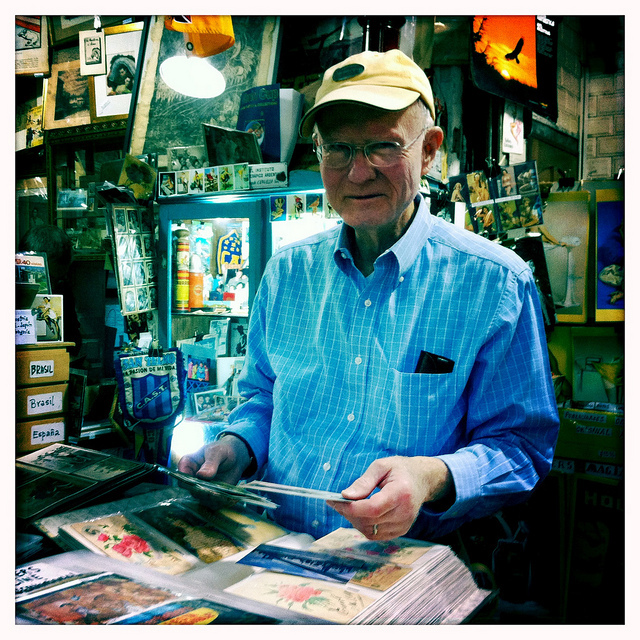 Local vendors sold antiques, art, and a variety of tourist-oriented souvenirs. My mom made progress on the long list of gifts she wanted to buy for people back home, and my dad, an avid deltiologist (how’s that for a word you don’t hear every day? ), found a few old postcards for his collection. 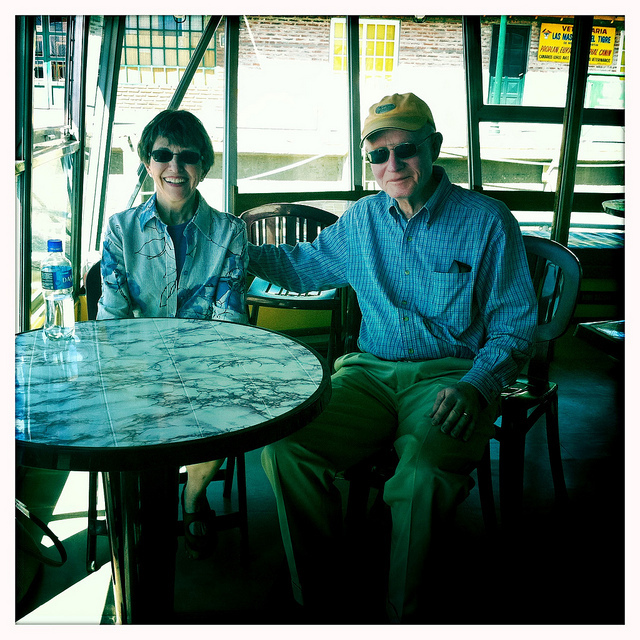 Spending time with my mom and dad, especially after a long stretch of traveling alone, made me acutely aware of how easily I slip into long-standing, well-worn patterns of thought and behavior when I’m around my family. In many ways that’s one of the great things about family, because the vast majority of those familiar patterns are very welcome and comfortable. Some, however, no longer serve any purpose and should have been outgrown long ago. But, despite consciously recognizing that, I couldn’t quite seem to do it. It’s amazing how stubbornly ingrained our habits become. 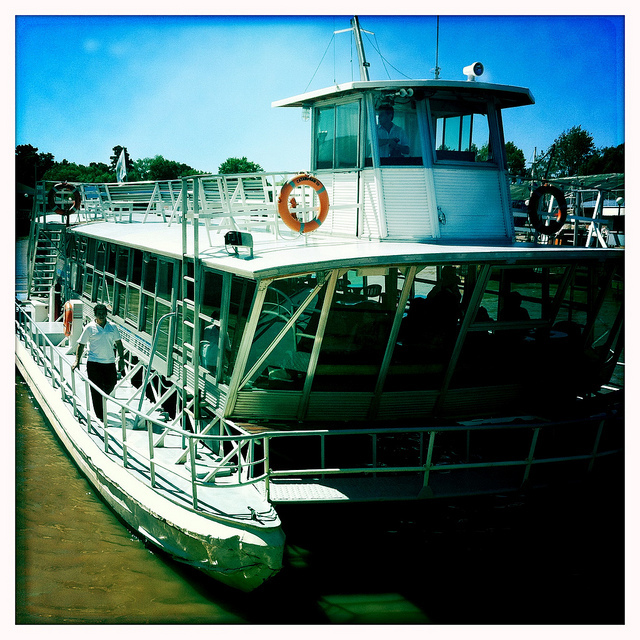 On the last full day of my parents’ trip we took a ferry to Colonia del Sacramento, Uruguay. 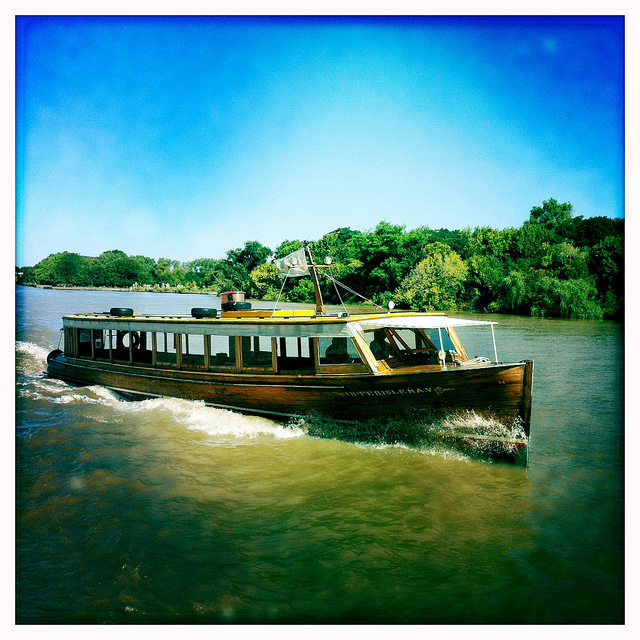 Slow boats can take over three hours to cross the Rio de la Plata, but we chose a fast catamaran that made the trip in about an hour. The border-crossing process was smooth and easy, no visa required. Colonia, founded in 1680, is the oldest city in Uruguay. We spent the day walking along the cobblestone streets of the city’s old town and enjoying the perfect weather. Colonia was scenic enough that I should have busted out my big camera, which seemed to be working again after a soaking at Iguazu Falls temporarily knocked it out of commission. 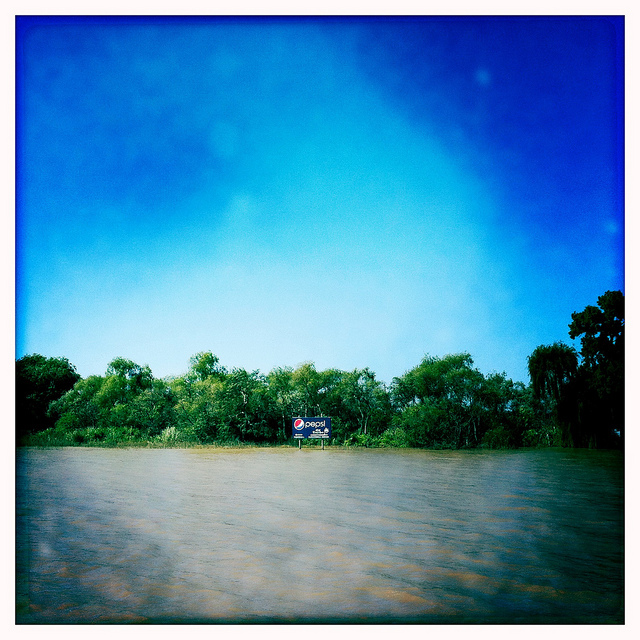 But instead I lazily stuck with the Hipstamatic app on my iPhone. I had a great time with my parents and the days passed too quickly. It didn’t seem like Mom and Dad had already been in Argentina for a week, but on Wednesday evening it was time for them to take a taxi to the airport. They dropped me off at the Retiro bus station, where I headed south on a night bus to Bariloche while they flew back to Kansas City. I can’t thank my parents enough – first and foremost for making the long trip and putting up with me for an entire week, but also for bringing my replacement gear, paying for so many meals, being good sports about posing for photos, and surprising me with my favorite cookies. I hope it’s not too long before we can explore another new city together. 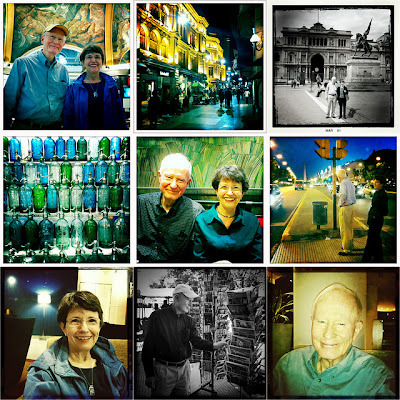 I've loved following your travels and looking at your pictures. 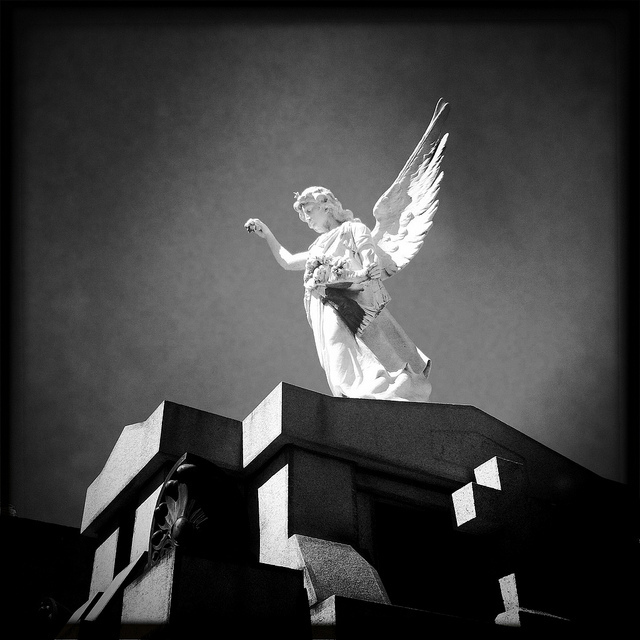 Just wanted to say that the b&w angel photo in this entry is STUNNING.